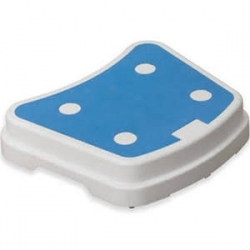 Value Portable Bath Step For Safety For The User. The Stackable Bath Step is a 100mm (4") high bath step, that makes getting in and out of the bath far easier and safer for the user. The bath steps unique modular design allows multiple steps to be used, and stacked on top of each other, when a higher step or range of steps is needed. When stacking the individual steps to achieve a higher total raise, due to their modular design, each additional step will give an extra 50mm (2") raise. Attractive and discreet, the Stackable Bath Step has a textured surface that is slip resistant for user comfort and maximum user safety. 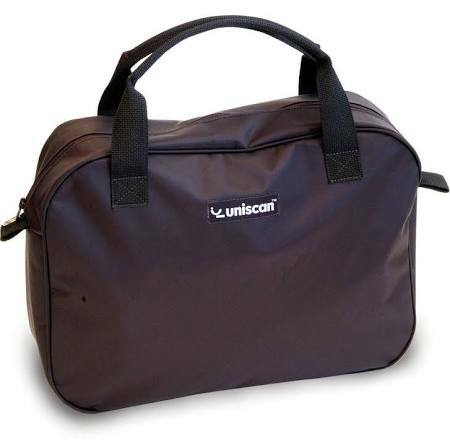 Provided with four removable covers on the surface that lock into other steps when stacking providing a stable surface.Made from highly durable plastic the Stackable Bath Step is extremely lightweight making it ideal for travelling. ORDER WAS PROMPT BUT PART WAS DAMAGED WHEN BOX WAS OPENED..REPLACEMENT UPRATED PART WAS SENT OUT F.O.C. THE TEAM WAS VERY HELPFUL.